What better way to top off the holiday season than another set of Boskone Mini Interviews? Today we bring you the amazing Jane Yolen who puts a little bit of sparkle in everything she does, the science fiction author and engineer John Murphy, and the multi-talented researcher Joan Slonczewski. Heading toward Book 350, and in 2013-2014 the following SF/F books out: The Hostage Prince, B.U.G., Curse of the Thirteenth Fey, How Do Dinosaurs Say I’m Mad, Romping Monsters/Stomping Monsters, Waking Dragons, Sister Fox’s Field Guide to Writing, Bloody Tide, The Last Changeling. 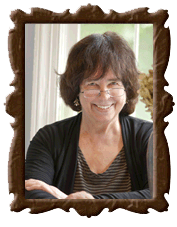 For more information, visit Jane’s website, friend her on Facebook, and follow her on Twitter @JaneYolen. Seeing old friends,making new ones. Meeting David Stemple who became my husband for 44 years until his death in 2006. I am a better, broader, deeper person since knowing him. Two new things that have my creative juices really galloping (not just flowing. ): The STONE COLD graphic novel trilogy (written with son Adam Stemple),a noir mystery in three parts set in Edinburgh in the 1930s and the Nero Wolf character is a gargoyle! And a verse novel about a girl who runs away from an abusive home and ends up in a forest where she comes upon a little hut on chicken feet, called FINDING BABA YAGA. Well, the author I disliked until I hit my sixties and discovered how truly funny and insightful she was is Jane Austen. I wish I could reintroduce my sixteen year old self to her work. John P. Murphy is an engineer and writer living in New Hampshire. His research interests include robotics and network security. His fiction has focused on mystery in SFF. For more information, visit John’s website and follow him on Twitter at @dolohov. I have a number of friends in the SFF community who I really only get to see once a year at Boskone — some of whom I met there in the first place! I’m very much looking forward to catching up with them, and to meeting new friends to look forward to seeing next year. I think it speaks very highly of Boskone that I can rely on seeing so many interesting people come back for more every year. When I was signing up for college courses freshman year, I was mostly looking at engineering classes, but in the back of my head remembering that humanities requirement. Just flipping through the catalog, I saw that they taught Japanese. At the time, growing up in West Virginia, I knew nothing about the language or the country — I wasn’t even an anime fan like half my class turned out to be. I just thought, “hey, that might be cool” and on the spur of the moment added it to the list. I took that class, then the next, and wound up studying in Japan. I saw parts of the world I never would have otherwise, met fascinating people, and got introduced to an enormous body of film, literature, and food that has enriched my life over the years. It’s taken a long time, and I’m still not sure I’ve fully learned the lesson, but learning to randomly say “yes” to unexpected opportunities that present themselves, trusting that “hey, that might be cool” instinct, has turned out to be a very useful life skill. I’m working on a novel-length sequel to my SF mystery novella Claudius Rex, which was an homage to the Nero Wolfe mysteries. I’m excited about bringing these characters to a longer form where they have more space to interact with each other and near-future Boston, and to fully develop as characters in their own right, and I find that I have a lot more to say on the subject of how people might get along with artificial intelligences. But at the same time, that novella was structured as an origin story, which gives a lot of opportunity to naturally worldbuild, and the novella->novel sequence is likely to mean a higher new reader ratio than an ordinary sequel would have. It’s been tough trying to naturally introduce the characters and the setting to new readers without that origin story structure and also without boring the folks who already know them. Joan Slonczewski researches bacteria in extreme environments and writes award-winning SF about future medicine, revolutions, and alien sexualities. In The Highest Frontier (Tor Books, 2011; Campbell Award) a Cuban-American student goes to college at an orbital space habitat protected from alien invasion by Homeworld Security. Slonczewski’s earlier Campbell-award winner, A Door into Ocean, creates a world covered entirely by ocean, inhabited by an all-female race of humans who use genetic engineering to defend their unique ecosystem. 1) A year with my family in Zurich, surrounded by the Alps. One day the school teacher cancelled classes and took us up the mountain to ski. Our school still learned faster than in the USA. There are always things to learn bedsides school–if you have a good school. 2) In the 80s, I was with Quakers protesting the launch of a Trident sub. A grandmother lay down in the road, requiring a police officer to pick her up to take to jail. Behind the factory fence, a worker stared out at me. “You’re right,” he said. People always have a responsibility to work for what’s right. A Year on Ice, documentary about Antarctica, including winter and summer seasons. The McMurdo people tell me this is the best documentary ever made about Antarctica. Mary Renault, The Last of the Wine. I married a classicist (Greek, Latin). I write about biological aliens that coevolve with young people, who help them save the Earth from destruction. I conduct microbiology research with a team of a dozen students, who investigate how E. coli bacteria tell the brain to eat chocolate. Happy Boskone to all, and to all a good con! This entry was posted in Boskone 52, Mini Interviews and tagged Jane Yolen, Joan Slonczewski, John Murphy. Bookmark the permalink.